In week 3 , i've learned about Learning Management System and Course Mangement System. My groupmates and i made a report on LMS and CMS to gain our knowledge about both management system. Based on my study , i understand that LMS and CMS may seem to be the same thing, but there are slight differences between the two. In terms of definitions, LMS is a software application or web-based technology used to plan, implement and assess a specific learning process. In other words, it is an online program or application whereby e-learning is delivered, students’ information and performances are recorded, documented, and can be tracked by the administrators. 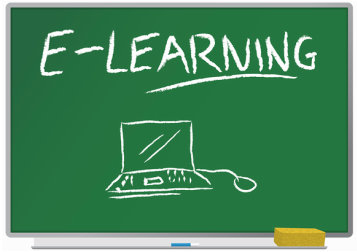 Examples of LMS include Claroline, Moodle, Sakai and many more. While LMS focuses on a larger scope, CMS is narrower in scope as it covers more on the management and distribution aspects of the courses. To put it simply, CMS is a collection of software tools where instructors upload course materials, tasks and assignments whereby students can assess and submit their work online. It is very commonly used in universities and high schools. A clear example of CMS is i-Folio which is the main system used by students of The National University of Malaysia for said purposes. By using LMS and CMS it is easy for me to access almost everything on websites and allow me to explore the contents whenever i want. Learning materials that are included in LMS and CMS can be used for long distance learning and are accessible to a wider audience. LMS increases the productivity and product output as it improves the efficiency among the students.This is true because any information can be processed at a faster rate by the students. Students depend on LMS to keep their work right and safe. Meanwhile, LMS plays a big role in guiding the students across the world. This is because today, it is necessary for students to access and use LMS in their studies. Hye I'm Mel from Kuala Terengganu. This week, i went to computer in education class and I was told about Weebly and how to use it.I've got my own e-portfolio through it. I found that this application is very appropriate way of learning now. I am thrilled with the sophistication of these applications and I want to explore it further. Concerned about the assignment to make a report about the computer as a tool, tutor and tutee, I have to search using google and too many resources obtained through this search. I will try to find a conclusion to increase my understanding about the function of the computer and make a report about the function.I am very excited to attend the next tutorial class.